Never in my mind that I’m going to met one of this, according to my M.O, this is the 1st time she met cervical incompetence patient also in her working life. According to statistics provided by the Mayo Clinic, cervical incompetence is relatively rare in the United States, occurring in only 1—2% of all pregnancies, but it is thought to cause as many as 20—25% of miscarriages in the second trimester. Picture taken from MoonDragon Birthing Service. Patient, 29 years old, Gestation 4 Para 0+3 at 22 weeks came in for routine follow up in our antenatal clinic. Previously patient had 1 episode ectopic pregnancy, and 2 episodes of recurrent miscarriages, one was during 13 weeks of gestation and the 2nd one was 17 weeks of gestation. A Cervical Scan can assess the length and appearance of the cervix as it has been shown that the opening of the internal part of the cervix (funnelling), or the shortening of the cervix. The cervix may be weak because of a connective tissue disorder present at birth (congenital), such as Ehlers-Danlos syndrome, or because of an injury. For example, injuries may occur when a large piece of tissue is removed from the cervix for a biopsy or when instruments are used to dilate the cervix (as can occur during dilation and curettage, or D & C). 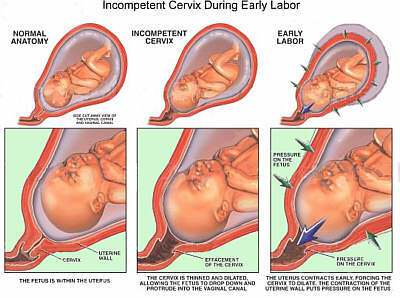 Once the problem of cervical incompetence is diagnosed,we usually offer a prophylactic vaginal cerclage (stitching the cervix closed), to be performed at the close of the 11th to 12th week of gestation.Cerclage is removed at or about 36 weeks gestation. This entry was posted in Little Medical Knowledge. Bookmark the permalink. bro,so did the patient do prophylactic vaginal cerclage?o already too late for her? Actually we did! 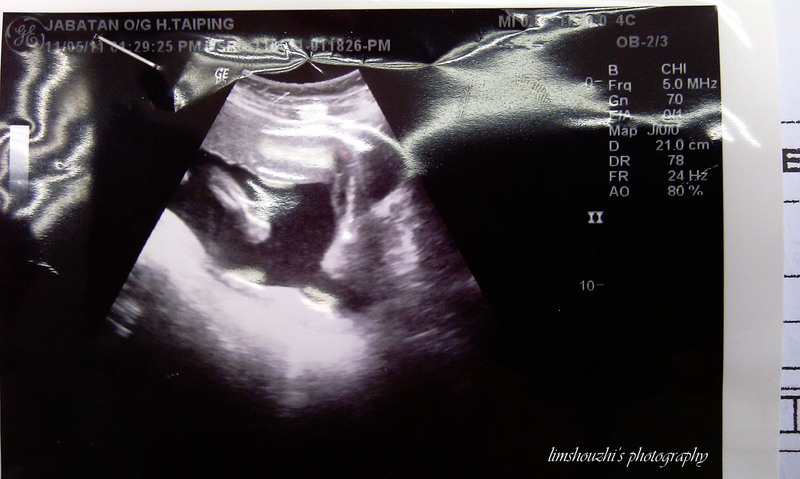 hehe…Currently the fetal is stable and she is 23weeker already,fetal heart activity seen,no contraction pain, minimal leaking and from the ultrasound reexamination, we found out that there’s no more funneling seen,juz hope the patient will stable until 28 weeks…juz pray for her! It is my opinion that cervical incompetence (IC) is underdiagnosed in Malaysia and it really isn’t all that uncommon. A number of mid-trimester or early third trimester losses can be sometimes be linked to cervical incompetence although, more often, are attributed to infection, PTL, abruption, etc. A possible option for patients who have been diagnosed with IC is the transabdominal cervico-isthmic cerclage – which may be performed pre-pregnancy and is a viable for patients with short cervices in the non-pregnant state. Given that is is July 2011 now, how has the patient progressed? Was there a subsequent prolapse of fetal membranes through the cervical canal? Really?thx for sharing wf us,hope to hear more good news from u!hehe….. I am 21weeks old and I have been diagnonised with cervical incompetence. 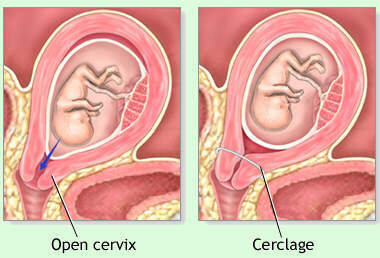 Cervical OS is 0.66cm and cervical length is 2.85cm. Will you advice I still go ahead with cervical cerclage? What is the percentage of keeping my pregnancy? I need a sincere response. Thx you for sharing this wf us, deeda. well, being honest, the risk of failure is a bit high compare with those who’ve been diagnosed at week 12-14, it also depends on the surgeon who perform the cerclage, it depend on how confident she/he is on this, just sharing my experiences. i am a patient who was diagnosed with cervical incompetence with my first miscarriage 5 years back. i did full term on my third one and another two which i miscarried at 17 weeks. last one was a blighted ovum for which i did a D&C at 13 weeks. this is my sixth pregnancy. i am 13 weeks now, and this time the doctor on examining my ultra sound said its not possible for me to get a stitch as my placenta is attached to the scar from the previous stitch. Really disheartening to feel so helpless. Anyone who has had a similar experience, pls share. I lost my baby boy at 20-week pregnancy and twin girls at 18-week. Both were very painful for me. Lian meantioned about pre-pregnancy transabdominal cerclage and I would like to explore this option. Any one knows of any setting in Malaysia or in this region that performs this procedure?